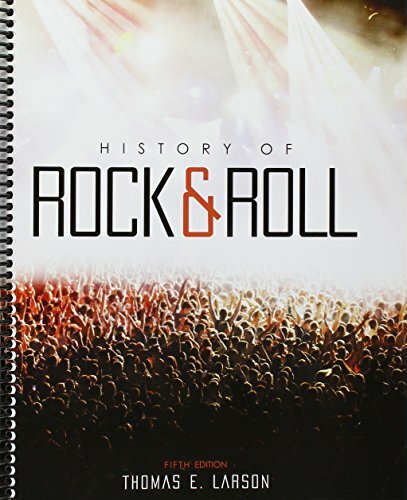 Designed for the college non-music major, History of Rock & Roll fuses a text, website, and online music library to cover the music’s story of controversy, tragedy, and self-indulgence; and also of love, peace, and the triumph of the human spirit. Details the most important rock styles, how they evolved, and their important artists, as well as a listing of key recordings in each. Contains biographical information on recording artists, composers, producers, DJs, record executives, and other figures. Includes access to an accompanying website with interactive activities, listening guides, audio/video links, test banks, and full course management software to assess comprehension. Includes a four-month subscription to Rhapsody, an online music service with access to over 32 million songs along with written synopses on 65 important recordings.